You want to become a model? Take your chance for the Model Castings in February 2019 and meet our Head Scout in Berlin, Munich and Cologne. Three dates, three chances for models all over Germany. PS: The Hamburg Casting comes in March! If you want to apply now for Berlin, Munich or Cologne, you can find all information here! You can find the casting form directly under the casting description. The casting is as follows, first you have to send us online your most important data and two simple mobile phone photos. Our Head Model Scout looks through all applications daily and sends the invitations including the address data to the location. This time our Modelcasting takes place directly in the photo studio. So we can get to know you personally and also shoot the first Polaroids of you and make the first small model videos – the whole package! Those who make it into our exclusive card index will start a new life. Ideally, you are 15 to 19 years old if you want to start as a new model and have time to go abroad right after school! Because our model agency works not only in Berlin, Munich, Hamburg and Cologne, but also with partner agencies in the metropolises like Tokyo, Paris, Milan but also London, Los Angeles and New York. With us you have a strong management in Germany and a springboard into the international modeling career. We accompany you! You can find the registration for the casting at the bottom of the page. First send us your application with the most important data, your name, your place of residence, contact details and two simple photos you take of yourself with your mobile phone in daylight. Please do a portrait and a full body picture. Please make sure that the pictures are taken in daylight so that you can be seen naturally. Speaking of naturalness, for your application photos please don’t wear make-up and leave any styling. Wear simple black jeans, plain shoes and a white top for the photos and casting. Nothing to distract you! Once again briefly summarized. With these four points you can apply for our Modelcasting in Berlin, Munich and Cologne and with a little luck you will get an invitation from our Model Scout! Invitations are sent within 48 hours. In case of rejection, no message will be sent. File types: .jpg, .jpeg, .png, .pdf up to / bis zu 6 MB. The requirements for models differ for male models and female models in their body size, why is that so? As you can read in our article about Pret-a-Porter and Haute Couture, fashion collections in particular are cut to size by designers. This allows uniform fashion shows to be held later, but also showrooms and photo shootings. Due to the identical dimensions it is easier for designers but also for event agencies and advertising agencies to plan concepts and shows. As mentioned above – we just point out – you should have no styling / make-up at the casting, as well as at the photos for your application, plain clothing is the be-all and end-all! You should also do without makeup, your hair should be open. If you want to work for us in Berlin, it’s all about naturalness! No tanning salon, no gel nails, no hair extensions and above all no dyed hair! That’s why come to the casting absolutely naturally. Plus Size Models and Curvy Models Wanted! You know a beautiful woman with clothing sizes over 36-38? Then tell her now about our model casting on 13 April in Berlin. 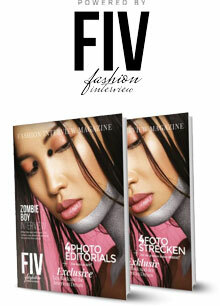 Already after our first Curvy Model Casting in Berlin, at the beginning of the year, we could find four new talents! They were already allowed to make the first showrooms. As a Berlin model you can go a long way, even if your measurements don’t suit the high fashion industry. Apart from high fashion, there is a lot of potential: catalogues, online shops, advertising and much more. Especially Plus Size Models are gradually conquering more market shares. In advertising, they are much more authentic, since their dimensions resemble those of the average German woman. Did you know that the average woman in Germany is 44 in size? If you know a beautiful girl or a beautiful woman, tell her about us now! You want to learn more? Then check out our blog: become a model. https://cocainemodels.com/wp-content/uploads/2019/01/cocaine-models-top10-best-agencies-modeling-casting-spring-2019-cities-dates-blog-models.jpg 500 1187 Stephan https://cocainemodels.com/wp-content/uploads/2015/04/modelagentur-logo-deutschland-cocaine-models.png Stephan2019-02-17 14:52:182019-02-17 21:57:43Model Castings in February 2019: Berlin, Munich and Cologne - Become a Model! Back in Berlin for a campaign – why not use the time and scout! Therefore you as a model have the chance to be scouted again next week in Berlin + to apply directly. Send us your photos! In the coming days we are shooting for a new campaign in Berlin. Besides production, booking, appointments & Co. we want to take our time on site and get to know new faces of Berlin. For experienced models, we are an interesting alternative to the classics. Cocaine Models is the only model agency that is listed in the top 3 in search queries in every German metropolis. After only 15 months. Now we are expanding in Europe! You can already find us in Sweden, Stockholm but also in Paris or Milan. Not just jobs, models too. We have already booked the first interesting campaigns for you. We are therefore very pleased if you as a model from Berlin are interested in us as an agency as a possible new management! If you would like to apply, send us your photos and measurements! If you want to apply as a model, please observe the following criteria. As a woman you should be at least 175 cm tall. As a man at least 185 cm. You should have a slim, maximum athletic figure. You should look after your appearance, have well-groomed skin, hair, hands and feet. The Live Casting dates are assigned flexibly to selected applicants. We ask for your understanding that we can only issue a few invitations due to lack of time. If you are invited to live casting, we will shoot some Polaroids of you directly for our booking team. Of course also a small introduction video. We are very happy about new faces from Berlin! If we could convince you of us, write us now and send us your photo material. I want to be a model! Don’t they? If you haven’t made your final decision yet, we will help you in the CM Guide with interesting articles, explanations and tutorials free of charge. Being a model is a tough job, you have to be very professional and always convince in front of customers and in everyday life. You have to watch your figure, you have to be sporty and always on time. You must be a very organized person to organize the various photo sessions and photo shoots for you. As soon as your modeling career really starts, you’ll also have trips, hotel and travel plans. Of course, there are also flights on and connecting flights. Customers in the upper class immediately expect an absolutely professional and perfect appearance from the model. Your agency too. If you want to inform yourself a little bit about the topic “Become a model”, you can browse through our model guide at any time. We often have articles about fashion shows, catwalks, top models, application tips, tips for your model portfolio, shopping ideas and tutorials. Of course you will also find the most important technical terms you should know as a model! We also have the most important names, fashion designers, supermodels and new brands for you. In the model guide you will also find instructive video tutorials and videos. As model & media managers we only know contemplative Christmas from television – probably it will remain that way for a long time to come. Between the most contemplative of all celebrations of the year (Christmas) and New Year’s Eve in the new year, we have decided to make a last high-quality shooting for 2014. It was an honor! For one of the newest and perhaps soon hottest jewellery labels from London: NIOMO Jewellery. Our goal, spontaneously, on the first Monday after Christmas days, to create a complete photo set. We have one of our favorites from Kiev, a local photographer, matching make-up artists for the hand and neck close-ups. Jewellery, during the shooting the special challenge, which should come to the fore. Besides the usual set and photo equipment, we looked for a really chic and busy location in Cologne’s Mediapark. 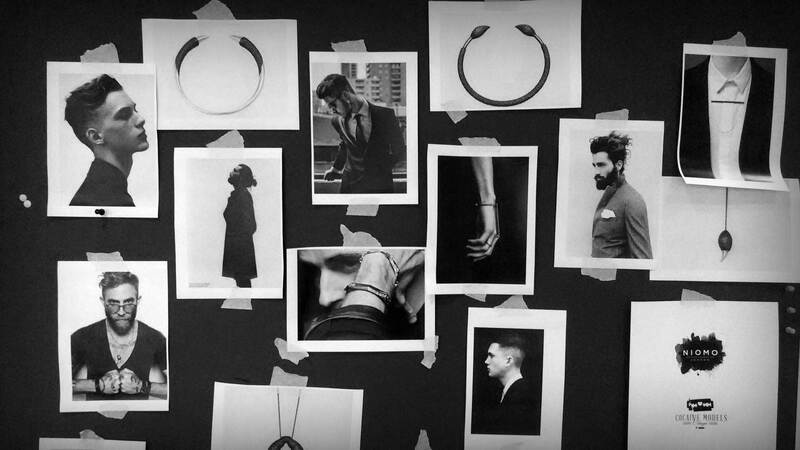 The moodboard is ready, now we photograph the new collection of the London jewellery manufacturer NIOMO. NIOMO is made by two enchanting young ladies. Both have studied and understood fashion and trends for themselves, for inner light, in London. That you see, all the jewelry creations, handmade and really adorable. Soon NIOMO jewelry will also be available in unisex, for men and women. You can find more information about the jewellery on her website www.niomo.co.uk, or via Like on the Facebook fanpage of NIOMO Jewellery London. Casting agency for Düsseldorf – Thanks to our casting agency, we find the most individual candidates for your project together with your team. We take care of serious placement of cinema actors, models and presenters in TV, magazines and advertising for high-quality brands. Our managers are at your side at all times, whether a casting for your upcoming advertising campaign in Düsseldorf will be, productions for cinema and shootings with models, our agents deliver fast results and time-saving customer communication. We quickly organise a good selection with established partner agencies. For Düsseldorf and Hamburg our agency is your partner for casting moderators, actors and models, your casting agency plans and schedules everything for your company. Our model casting agency will always find the best candidates for your advertising campaign in your shops. Your full satisfaction is our most important factor. Quick suggestions are a matter of course at our casting agency for moderators. We take care of your search for photo models, presenters and series actors: placement, casting and overall project management. Together with our talented, committed models, we are breaking new ground in the management of models as a casting agency. We get for you the best out of our model with individual recommendations. Mediation, Castings or Shootings, with us you find correct photo model. With us you are in the center of all our acting mediators in the entire mediation process as client and customer with each decision of our team at any time. Young talents from our agency can adapt to different challenges. It is important to us to give our models the time they need to prepare for jobs through first-class management. We attach great importance to giving our models with professional management the time they will need to fully brief themselves and prepare for the job in a targeted manner. In this way, we enable all our young models to have great opportunities and castings for jobs right from the start. From the flashlight of a fashion show at Fashion Week to a photo shoot for European fashion chains to an advertising film for social media. Send us an e-mail now or call us. You save valuable resources and time through our services. Our casting agency stands for quality at a high level – day after day. Through our management you always get your individual model selection simply and uncomplicated. Write us your individual wishes at any time. Find your model in Düsseldorf. Our agency for models accompanies you and your project in the entire organization process. With professional advertising agencies in Germany and worldwide. One thing is for sure, for brands all forms of castings are not only the most promising way to cast the strongest cast. The live event is just as good as a social media marketing campaign: advertising models wanted! Casting Agency for Munich – We are always at your side as consultants and partners for your project team, whether it is a casting for your company’s image films, photo shoots for well-known brands and TV shoots, the CM agents deliver strong selection and friendly customer communication. Our managers will always scout the best cast for series and shows in Munich for your advertising shootings. We guarantee the perfect selection with experienced advertising agencies throughout Germany. Thanks to our casting managers and their know-how, you will find the most experienced candidates for your project. As a casting agency in Germany, we focus on achieving the greatest production result in our mediation. Our casting agency for moderators takes over all relevant areas for your media project: mediation, support, casting and project management. For Munich, Leipzig, Frankfurt, Düsseldorf and Hamburg we are your partner in Munich fixed selection and individual options are natural with us for your Shooting. CM Casting – Our casting agency takes care of the organisation of your booking for Munich clients: models or moderators. We provide serious mediation of actors for feature films, show presenters and advertising models in online shops, TV commercials and image films for companies. The casting agency, your partner for expressive photo productions – We organize expressive and changeable actors for photo campaigns and shootings. Our agency attaches great importance to ambition and punctuality. Together we achieve representative, high-quality shooting results that will convince your agency. Are you looking for the perfect model for your project? With our agency for models you will quickly find your model as an agency in Munich. Not only actors, our agency team also takes care of the organisation, just contact us. Our intermediaries will immediately inform your project manager about free booking days for your project, send you photo portfolios. Call us, one of our agents your project quickly. We save you a lot of individual enquiries to many actors as well as qualitative checking. So that our agency models can prepare themselves optimally for their shootings, we invest a lot of time in our organization. Through live or e-castings you will not only find the ideal cast for your photo shoot. Your live event is just as good as a social media marketing strategy: advertising models wanted! Model Casting Berlin – 13. April x Secret Location – Get Discovered This Weekend! 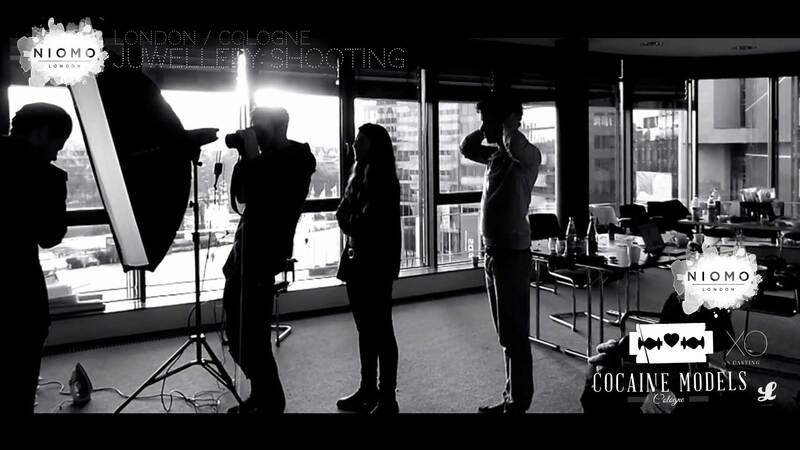 Now in Berlin – Cocaine Models – the second model casting of our modeling agency this year! With our new office and small studio in Berlin we are looking for Models and Curvy and Plus Size Models for our customers in Germany, Europe and worldwide for the second time this year. 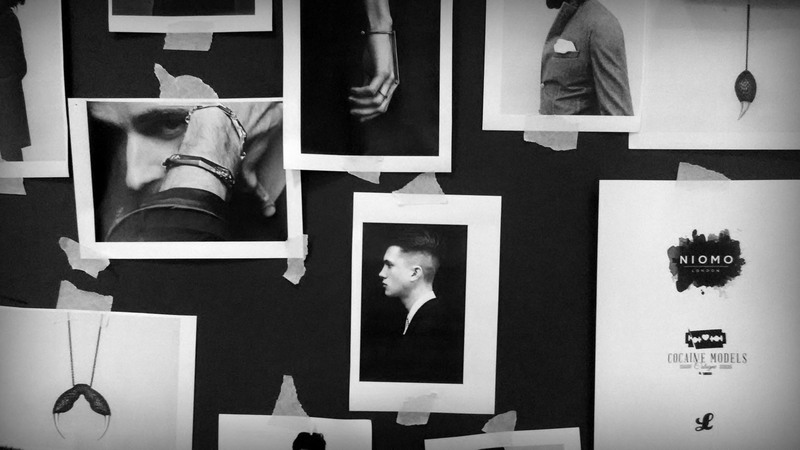 If you know someone who really wants to be a model, let him or her know. On the 13th of April we are looking for young, talented people who are looking for fashion, advertising and media. The casting is done as follows, first you have to send us online your most important data and two simple cell phone photos. Our Head Model Scout looks through all applications every day and sends the invitations including the address data for the location. This time our model casting takes place directly in the photo studio. So we can get to know you personally and also shoot directly the first Polaroids of you and make the first small model videos – the whole package! Who creates it in our exclusive file, for which begins a new life. Ideally you are 15 to 21 years old, if you want to start as a new model and have time for school after school! Because our modeling agency works not only in Berlin, Munich, Hamburg and Cologne, but also with partner agencies in major cities such as Tokyo, Paris but also London and New York. With us you have in Germany a great management and a springboard into the international modeling career. We accompany you! The registration for the casting can be found at the bottom. First send us your application with the most important data, your name, your place of residence, contact details and two simple photos that you make with your mobile phone in daylight. Please make a portrait and a full body photo. Please make sure that the pictures are created in the daylight so that you can see them naturally. Speaking of naturalness, for your application photos, please do not wear make-up and leave any styling. Wear the photos and the casting a simple black jeans, simple shoes and a white top. Nothing should distract from you! Again briefly summarized. With these four points you can apply for our model casting in Berlin and with luck, you will receive an invitation from our model Scout! The invitations will be sent within 48 hours. In case of cancellation no message will be sent. The requirements for models differ for men’s models and female models in their height, why is that? As you can read in our article about Pret-a-Porter and Haute Couture, especially fashion collections of designers are cut to specific dimensions. As a result, uniform fashion shows can be carried out later, as well as showrooms and photo shoots. Due to the same dimensions, it is easier for designers but also for event agencies and advertising agencies to plan concepts and shows. As mentioned above – we just point out – you should have no styling / make-up during the casting, as well as the photos for your application, simple clothes is the alpha and omega! You should also refrain from makeup, your hair should be open. If you want to work in Berlin, it’s all about naturalness! No tanning salon, no gel nails, no hair extensions and especially no dyed hair! Therefore, come to the casting absolutely natural. The different jobs that you can do as a model in Berlin are extremely diverse! From the international online shop to the campaign shoot or photo shoots for fashion magazines. In Berlin you can experience much more as a model, because twice a year the Fashion Week takes place. At the Fashion Week, the top German fashion designers will meet to present their new collections for the season. In the process, new faces in the fashion industry are taking part in order to experience many castings once. Because that, you have only in the big mega cities around London & Co. The absolute basic job of a model is the showroom. A showroom can present it to you like a small fashion show, only without an audience. Here sellers or designers meet with the customers. For this, one, two or three models are booked, who present the current pieces of the collection directly on the body. So the customer can make a good impression about the shapes and dimensions, as well as fabrics and workmanship of the garments. Larger fashion shows are rare, you will have them later at work abroad, as in Milan, Paris or London. As soon as you have some experience and your model book is set up, you will increasingly work for photo shoots. Photo shoots are extremely multi-faceted, from the online shop to the campaign or even catalogs, the family shooting and couples shooting, the best friends or all alone in the Berlin 200qm studio. The more experience you have gained as a model and the more positive feedback you receive from the customer, the higher your chance of being booked for larger jobs, such as commercials. If you work as a model in Berlin for commercials, then you have already made it very far! For commercials are no longer just about having talent as a model, but also about acting skills. In addition, the reputation of such a commercial is even greater than a photo shoot! With a little luck, the commercial will even be published in several countries, and you will get additional buyouts. This is a fee you get for publishing pictures or photos. This additional fee will be charged in each case if a commercial z.b. used for Germany, on TV and television, for a year. If this commercial is then renewed for another year, or if another country is added, new buyouts will be made. If you want to become a model then send us your application, we’ll help you get started in the industry and we’ll help you get it going! With career planning and great attention to detail. Our model agency exists since 2015, after only two years we were chosen by the Bravo to the Top 10 recommendation in Germany. We put a lot of effort in the promotion of young talent and look forward to your application. You know a beautiful woman with clothing sizes over 36-38? Then tell her about our modelcasting on April 13th in Berlin. Already after our first Curvy Model Casting in Berlin, at the beginning of the year, we were able to find four new talents! They were already allowed to do the first showrooms. As a Berlin model, you can go far, even if your measurements do not fit into the high fashion industry. There is a lot of potential away from high fashion: catalogs, online shops, advertising and much more. Especially Plus Size Models are gradually gaining more market share. https://cocainemodels.com/wp-content/uploads/2018/04/model-casting-berlin-april-jobs-fashion-curvy-plus-size-topmodel-supermodel-scouting.gif 650 1250 Stephan https://cocainemodels.com/wp-content/uploads/2015/04/modelagentur-logo-deutschland-cocaine-models.png Stephan2018-04-08 18:36:372018-06-27 16:56:59Model Casting Berlin - 13. April x Secret Location - Get Discovered This Weekend! Casting agency for Hamburg – Whether a casting is for your next fashion show in the store, the upcoming photo shoot and film productions in Hamburg. With our full service casting agency we plan every detail for your media project: project planning, casting and mediation. Fast suggestions and selection are guaranteed with us as Modelcasting agency for your Shooting. Your casting agency for photo campaigns and shootings scout the best cast. Your absolute satisfaction and that of your team is our most important factor in project management. CM Casting, our casting agency takes care of the entire process for your booking in Hamburg for Hamburg clients: models or moderators. Our casting agency provides a Europe-wide scouting network for Hamburg. In advertising campaigns, online campaigns and online shops we ensure the perfect cast! Our bookers are guaranteed to find the best cast for your advertising shootings. With reliable partner agencies we quickly organize a good selection, contact us! One thing is certain, for brands castings are not only the fastest way to the perfect cast. The live event is just as good as a digital marketing campaign: Models wanted! With the focus on qualitative development, our casting agency puts a lot of commitment into your individual development. Our managers focus on your ideas and wishes. On special request, we can offer you competent help with questions concerning the project. Save valuable resources and time with our agency services. The ideal model in Hamburg. Our agency for models accompanies you and your project in the entire organization process. With exclusively professional partners in Germany. Our casting agency guarantees your shootings absolute precision in management and organization on a high level – day after day. Through our management you always get your individual selection of models fast, carefree and uncomplicated. Write us your individual wishes at any time. London x Curvy Model Casting 3rd February 2018 – Apply now! We had a great start in this year and now we have the first model casting in London – ever! We are looking for wonderful models, which fit to our agency and the spirit of CM. https://cocainemodels.com/wp-content/uploads/2018/01/model-casting-london-uk-modeling-agency-europe-tv-photo-shooting-blog.jpg 600 1200 Stephan https://cocainemodels.com/wp-content/uploads/2015/04/modelagentur-logo-deutschland-cocaine-models.png Stephan2018-01-17 17:54:132018-06-27 16:57:03London x Curvy Model Casting 3rd February 2018 - Apply now! Curvy Model Casting: Live at Berlin Fashion Week 2018 – Plus Size Wanted! https://cocainemodels.com/wp-content/uploads/2017/12/neu-curvy-model-plus-size-casting-berlin-fashion-week-januar-2018-blog-cover-flyer.jpg 600 1200 Stephan https://cocainemodels.com/wp-content/uploads/2015/04/modelagentur-logo-deutschland-cocaine-models.png Stephan2017-12-29 00:18:082018-06-27 16:57:07Curvy Model Casting: Live at Berlin Fashion Week 2018 - Plus Size Wanted! Become a Model: Casting Situation and Agency Imagine – what you need to know! The procedure of the job interview in a modeling agency varies depending on the agency. From very short to short. For open castings in agencies you might have five minutes. At a single invitation maybe ten minutes. Depending on the level of experience, the entire appointment, including arrival, photos and short introduction video takes twenty minutes. Whichever you have more or less time to convince. Accordingly, you should also prepare for the appointment. Let’s take a closer look at the process. Punctuality is so important. In the media industry, “on point” applies. If your appointment is at 1pm, you should be there at 1pm. If earlier, then a maximum of two minutes. Many tend to come earlier, which is not an advantage. Model agents have their daily business, very tight schedules and exact dates. If you are fifteen minutes earlier at the casting, it may interfere with the internal process. Depending on the size of the agency, there may not be any extra receiving power, meaning the bookers are spontaneously torn from their work. Again and again we have the situation in casting the model already thirty, forty minutes before the start ring or come in directly. Depending on the location you often do not have the possibility to close all accesses. For example, in large castings in hotels many guests are on site. So models can always go directly to the casting room. But if the team is still in the middle of the briefing and you already stand in the room as a model and say hello, that will be negative. What if you are late? Often, models travel widely for agency castings. Munich, Hamburg, you often have to plan a two-day trip. If your train is delayed on such long distances, everyone understands it. Just call the agency and let me know. You will receive just as friendly. If you can not call anyone directly at big auditions, stay calm and do not get hectic. In Paris they say “C’est la vie”, that’s life. Do not lose your smile. Depending on the route, you should always plan to be there sooner. You can always get some tea nearby and do a little bit for Instagram and Co. Then you are right nearby, you can go on time and you’re on point. Depending on the situation, you will have a conversation with one or two model agents. They are directly at the customer and know exactly what their regular customers are looking for new advertising campaigns. The person will probably also be your contact in the agency, which means you will work together a lot. So try to be honest and natural right away. Basically, you introduce yourself after the welcome, present your experience, your motivation and your benefits. If you already have a model portfolio, the booker looks at your footage and often gives you a direct, if short, feedback. In most cases, the model agent will also ask you to demonstrate your abilities. That means he wants a short catwalk from you, with short posing and looks. Run – As you approach the model agent, you focus one point behind him or her on the wall. There your gaze stays. Photos of the garments – For the photographers to take enough pictures, you have to stop, pose, exchange views. For a little “catch” you can wink or laugh just before the turn. Turn – First turn your body. Your gaze stays with the booker for a moment. Then you pull your head and look. Return – You focus again on a point in the room and are just walking towards it. Your gaze will remain at a height of about two meters so that your head and body stay well stretched. Depending on the booker’s interest in you as a model, your measurements will be measured, short Polaroid images or video presentations made. The introductory video also follows a fairly steady course. You may need to introduce yourself in English briefly so that the booker can see directly if he can suggest you to international clients. In general, the booker is standing in front of you with a small camera or a tablet. The video should capture you as naturally as possible and is done in a recording. Introduction – Hi, my name is Elena, I’m 17 years old and I’m 179 cm tall. Portrait – At Polaroids, a portrait is filmed first, then your hair is taken back in the braid, you turn into the profile (left) and turn in the other direction again (right). Walk – The booker will go back a bit, then make a short walk. As previously described, only with other conclusion. You do not run back to the camera, instead you post in front of the camera, showing facial expressions and expressions. After about five seconds Posing you say goodbye. The longed-for call and the admission to the Model Agency: Now it’s time to wait! The process is never the same, some models convince the booker so much that they get the option on the model contract directly in the conversation. Other models you would like to discuss before in a team or look at the book again in peace. In any case, recording is very fast if the agency is interested. Mostly you will find out directly if it works or in two or three days. As a rule, the Booker team says goodbye to you with the words “Thank you for your visit. If interested, we will contact you. “And that can sometimes take a while. If you have not received any feedback after two weeks, it will probably not work with the recording. Of course, you can ask questions to make sure for you. After that, you should in no case write more e-mails or make calls, because you do not want to annoy the agency and if there is interest, the agency will contact you. https://cocainemodels.com/wp-content/uploads/2016/12/model-werden-castingsituation-agentur-vorstellung-tipps-ratgeber-frauen.jpg 650 1400 Hanna https://cocainemodels.com/wp-content/uploads/2015/04/modelagentur-logo-deutschland-cocaine-models.png Hanna2016-11-16 12:55:182018-06-27 16:58:09Become a Model: Casting Situation and Agency Imagine - what you need to know! Casting Agency – For Berlin, Hamburg, Munich and many other cities we are happy to take over the planning of your model casting. Together with our partner casting agency, we not only support our customers in the selection of a sedcard. Our agency also helps you with larger auditions. Whether fashion show in Berlin or castings for your model pool. We have experience in organizing and marketing, even larger events. Casting Agency – How does a casting work? Quickly explained – In principle, there are two variants of casting. The e-casting is relatively undemanding. Models will submit a pre-selected video after prior selection. This saves a lot of travel and organization. Live Castings are a bit more demanding. Model Castings typically gather a lot of different people. Not just your own team and models. Often many helpers in the rooms or editors of magazines cavort on large castings. The important thing is to keep calm. Of course every model wants to have the job and every model has a good model portfolio. Here, despite all competition, yet with experience and charisma shine, without excitement, is a real challenge. We are looking for exactly these special talents together with you. You will prove the greatest professionalism on the set. A casting can be used for you as an advertising agency, fashion label or brand fantastic to increase reach. With a well-organized process, as well as well-structured PR measures, you can quickly achieve high coverage, for example in social networks. So a casting is also ideal for social media marketing. We analyze markets and invest smart in the best social media channels. Because models are also influencers! Working with agencies and designers is great fun. Our projects were extensive, from boutique casting to Berlin Fashion Week to the Mercedes-Benz Cologne Fashion Days. For fashion shows, advertising, magazines and TV formats we always find the perfect cast with our network! We take care of the casting process, planning and organization. Whether as a casting for commercials, for fashion shows in your stores or for the upcoming image campaign, we are your advisor and partner by your side. Quick suggestions and selection are guaranteed with us as a casting agency for models for you and your team. With established partner agencies, we can quickly provide the perfect candidates and proposals, always arranging the best candidates, with all our experience and know-how from nearly a decade of media work. It has always been important for our customers to get everything from one source. Your individual wishes and ideas are always in the center of every decision our managers. From the first selection to the perfect model, as well as the entire finalization of the booking, scheduling and the entire organization around the shoot. Well-organized management often saves many days, because there is no need for conversation-intensive communication channels between the individual team members of the media production. Strong media, a lot of reach and a personal contact network. More than good looks – we are looking for talent! The fewer interim arrangements made in the course of a production, the less time is wasted. Project and marketing managers attach importance to efficient work. Often models are already booked for normal shootings, which have their special talents, for example martial arts but also music. With us you will find the perfect candidate! All services from a single source: mediation, booking, planning, that’s the advantage of our agency. Reliable project management and our personal network of contacts – Plan your next casting with Cocaine Models. In principle, there are three forms of casting. There are fast castings where many models come together for an appointment during a short period of time. A Gosee. More detailed are then live castings with subsequent fitting of the fashion collection or video test with the product. Depending on the job profile, the castings require different qualifications from the models such as drama, sports, social interaction, and much more. The respective model requirements are very different! There are also e-castings. When E-casting you meet the model not live in the agency or in your company, but get a video recording. The video is produced by the model according to a well-defined pattern. This saves a lot of effort, time and organization. Read more about casting preparation here.